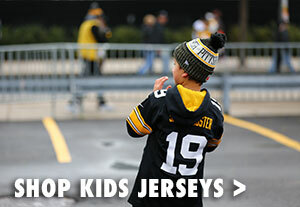 Recognize and honor active and former military members while showing support for the Steelers in the Pittsburgh Steelers Nike Salute to Service (STS) Therma Hoodie. Constructed from soft fleece, Nike’s Therma-FIT fabric is engineered to keep you warm while remaining breathable to prevent overheating. You will love the details on this hoodie including two embroidered Steelers twill tape patches across the chest, embroidered American flag and NFL patches on right sleeve, and an embroidered Nike swoosh on left sleeve. 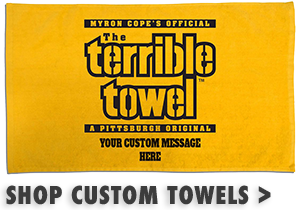 A large, rubberized Steelers graphic will let everyone know who you're representing. 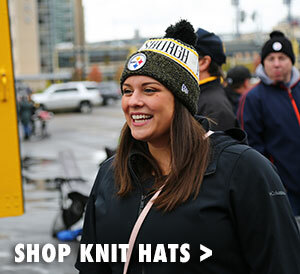 The hood is lined with mesh, digital camouflage fabric, while a kangaroo pocket on the front will ensure your hands stay warm while cheering on the Steelers at Heinz Field. This hoodie is made with the same specifications as those seen on the sideline, so you can dress just like your favorite player on the football field, while honoring those who have served on the battlefield. Salute to Service is a year-round NFL initiative to honor military members, veterans and their family, while empowering them with game-access, grants & scholarships. 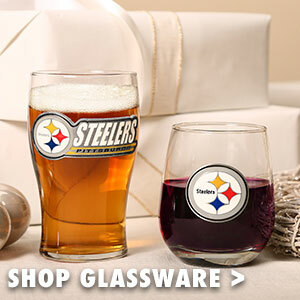 These are made possible, in part, via the sale of Salute to Service-designated merchandise. Charitable contributions are donated to the NFL’s military nonprofit partners including the United Services Organization (USO), Wounded Warrior Project, Pat Tillman Foundation, Tragedy Assistance Program for Survivors (TAPS) and the Bob Woodruff Foundation.